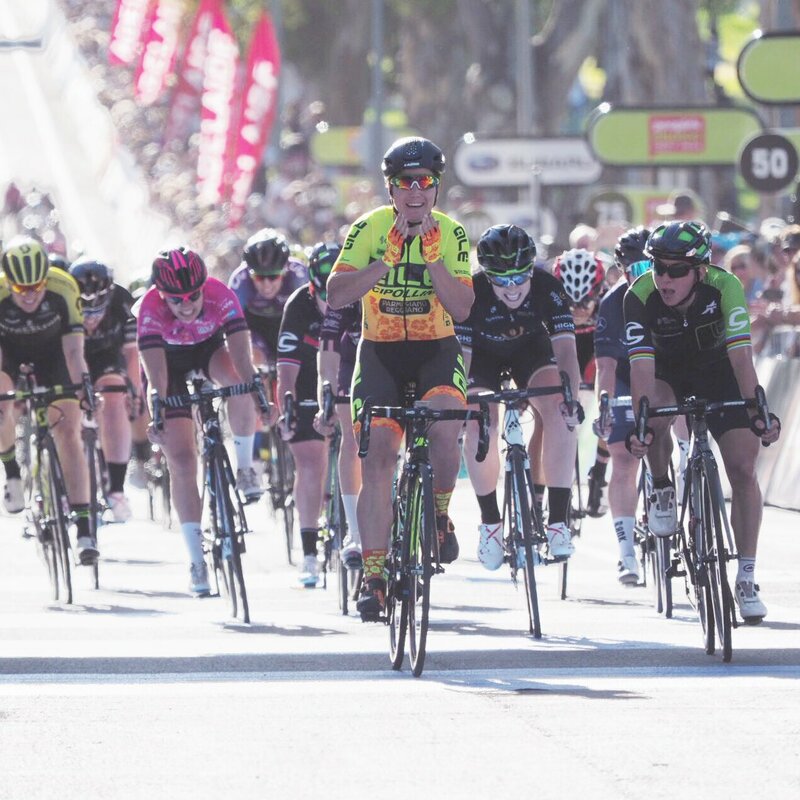 Mitchelton-SCOTT’s Amanda Spratt has survived a scare on lap eight to claim her second Santos Women’s Tour Down Under general classification in a street race finale won by Ale Cipollini’s Chloe Hosking. Hosking’s fluoro yellow-clad teammates mobilized to the front of the peloton on the final lap, giving her the perfect opportunity to launch to the line and claim the stage. 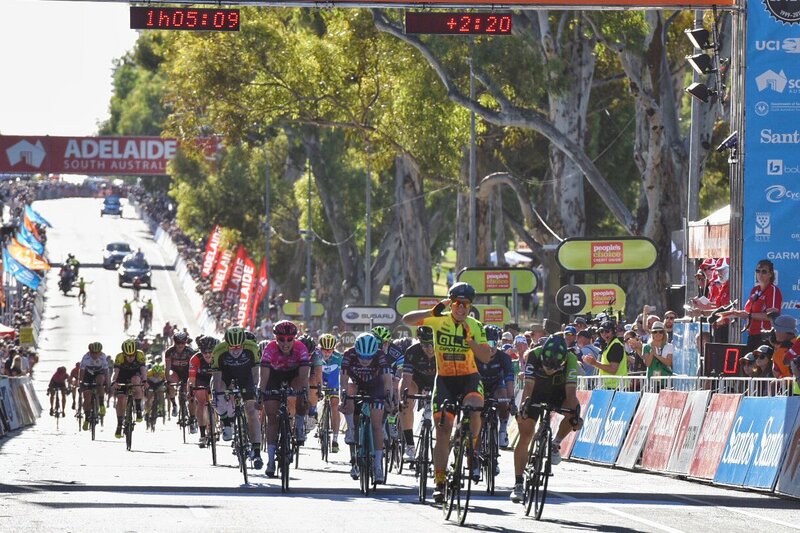 Spratt, who earned Ochre on the back of a commanding performance into Hahndorf on Saturday’s grueling third stage, made history as the first to claim multiple, and consecutive, Santos WTDU titles. In a straightforward 20-lap criterium, Spratt’s lead was ultimately – and unsurprisingly – unassailable, but the champion encountered a hairy moment in the dash to the line of the Subaru Prime on lap eight, when a pack of riders crashed down Wakefield Road. While she was able to avoid the initial carnage, she was collected by riders behind and felled. “I actually had time to stop, but the people behind me didn’t see it and someone zoomed into the back of me,” Spratt said. Straight off the bike, Spratt admitted the feeling of claiming victory in the Santos Women’s Tour Down Under was still sinking in. But claiming victory filled her with pride, having competed at the first women’s national series races at Tour before the emergence of the UCI-graded Santos Women’s Tour Down Under in 2016. “I’m really happy… it’s such a special race, I’m really proud of this race,” Spratt said. The race was otherwise uneventful, with former national champion Katrin Garfoot and her UniSA-Australia team mobilising to secure her all four primes and the southaustralia.com Sprinter’s Jersey. Spratt also claimed the Subaru Queen of the Mountain classification on the back of her stirring climb against Lauren Stephens in Saturday’s Stage 3 at Comet Mine. Meanwhile, Grace Anderson (Vantage New Zealand National Team) won the #seesouthaustralia Young Rider’s classification.